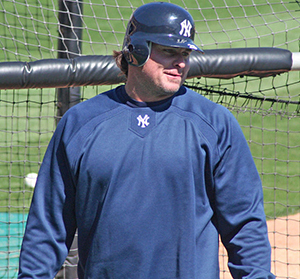 Jason Giambi attended the South Hills High School in West Covina where he was involved in three different sports baseball, basketball and American football. After an illustrious high school career, Giambi was signed by the Milwaukee Brewers during the 1989 MLB draft but he went on to college instead of signing up into the club. He began his career in 1995 but was used mainly for his skills on the outfield and as a third batsmen. He rarely played as a first batsman. It was in 1997 that Giambi assumed a full time job at the first base and in 1998 he led the A's with 27 home runs to his name. In the next season he scored over 30 home runs and in the year 2000 went on to become the MVP. He signed a $120 million deal with the Yankees for a span of seven years. Jason joined the Athletics once again after facing the wrath of the Oakland fans for seven years as they felt betrayed by their leader. Once in the A's camp, he was given his old jersey and he hit his first home run in mid April of 2009. A month later he hit his 400th home run but the A's lost the game to Arizona Diamondbacks and Giambi entered the disabled list till mid July only to be released by the A's in August and he was picked up by the Colorado Rockies. His short stint with the Rockies was full of milestones both, for the team as well as Giambi. In May, 2011, when he was playing for the Rockies against Philedelphia Phillies, he became the second oldest player, at the age of 41, to hit three home runs in first three at-bats. This was also Giambi's first game where he had scored three home runs in a single game. 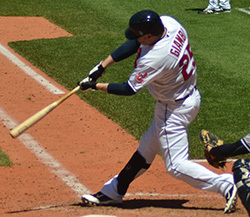 In 2012, he was signed by the Cleveland Indians who had an exceptional season this year and the General manager of Cleveland Indians has announced that they have re-signed Giambi with a minor league contract that includes spring training with the major league club. He was offered a similar deal last time and seems to have an enormous impact on the Indians' camp. With 438 home runs to his name as of now, Jason Giambi is looking strong to make it to the 500 home run club soon.